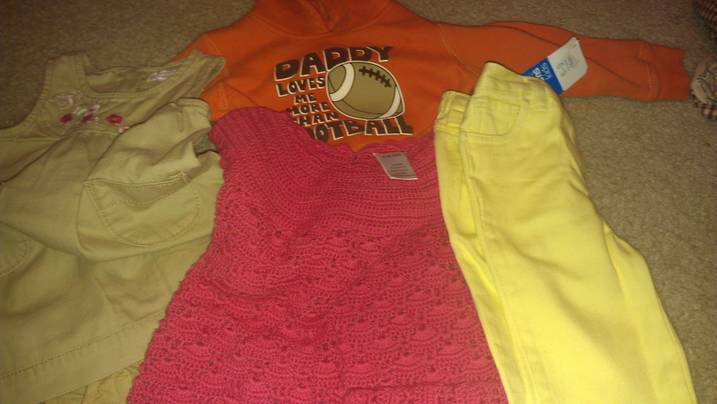 I Love Shopping For Clothes For My Two Growing Children! Since I've Had My Daughter My Life Has Become Alot More Busier & I Don't Have As Much Time To Venture Out To The Mall On A Regular Basis. Don't Get Me Wrong, Hubby & I Will Make A Frequent Trip To One Of Our Favorite Shops By The Mall When We Can, But It's Much Easier To Clothing Shop Without The Kidos Sometimes! I Was Introduced To ThredUP From A Family Friend & I Have Been In Love Ever Since! After Sending My First Bag Into ThredUP I Received An Account Credit To Purchase Gently Used Clothing From Their Wide Selection Of Items! They Sell Gently Loved Clothing, Shoes & Accessories All Shipped Right To Your Front Door! 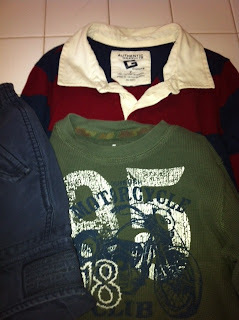 I Was Given a $25 Credit & I Purchased A Long Sleeve Rugby, An OshKosh Thermal Top & Old Navy Pants For My Son. 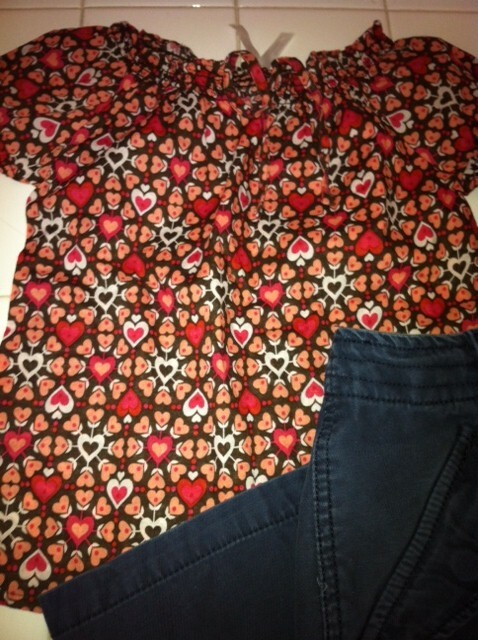 I Was Also Able To Get An Old Navy Top For My Daughter For Spring. I Loved All Of My Items & They Arrived Nicely Folded & Clean A Few Days After My Purchase! Jessica has been telling me about ThredUp for a little while now, so I was excited to finally give it a try. 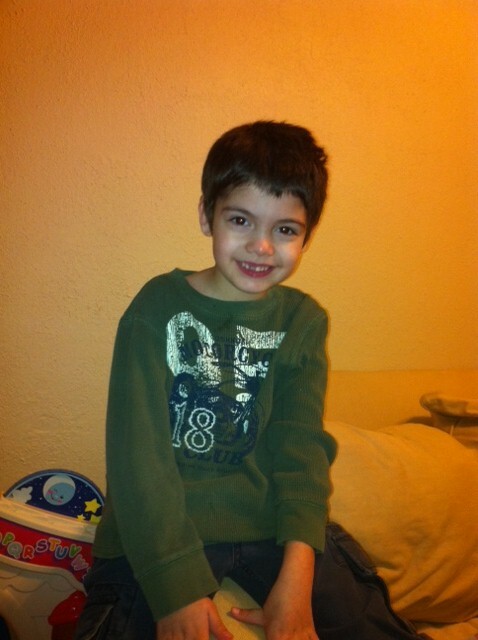 I was given a $25 credit and was able to purchase 3 outfits for my kids: a Carter's Watch the Wear dress and a Carter's brand dress for my little girl, along with a cute little Carter's Dinosaur sweatsuit for my little boy. The clothes look like they have barely been worn! I did purchase them all at sizes just slightly big for my kids--I wanted to make sure they'd get full use out of them. The sweatsuit is still too big for my little guy (I imagine he'll be wearing it around January or February) but here's a picture of Maggie in one of the dresses she received. She loves it! If you do the math, it works out to a little less than $8 an outfit. I'll be the first to tell you that I have found brand new outfits like these by shopping sales, BUT that takes time and dedication--2 things I have less and less of these days. The nice thing about ThredUp is that you don't need to clip coupons or watch for sales, you're always going to get sale prices and you don't have to leave your house! I had heard about ThredUP from Jessica a couple times and she had nothing but great things to say! So I was anxious to get to try them out myself. I was given a $25 credit to use and purchased a few items for my kiddos. I was able to get an adorable pink Gymboree dress , an Old Navy dress and a pair of jeans for my little girl. I also got an Old Navy sweatshirt for my 19 month old little boy. I thought for $25 this was a decent amount of stuff, but I also have to be honest and say when I shop for my kids I always do the end of the season sales and purchase for next year, so I often find clothes for even cheaper than what I did on ThredUP and in that case they are brand new, so I wasn't extremely impressed at first. 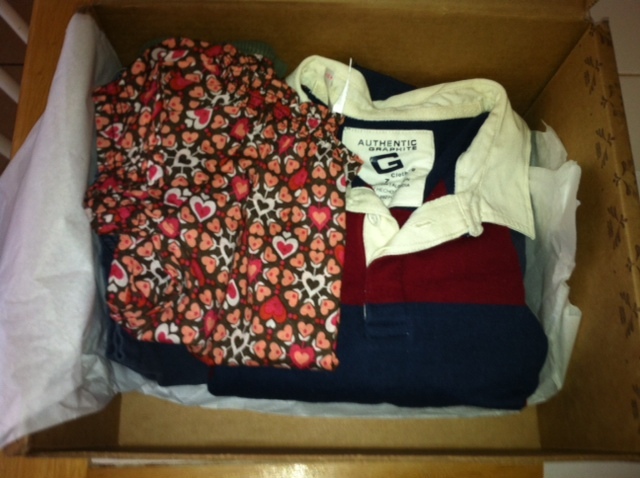 BUT..... when my items arrived I was very impressed that all though the clothing was used it was in excellent condition! So, if I can't get out of the house, ThreadUP is a great option to find some good condition used clothing for the kiddos. Their selection seems to change daily, the first time I got on the site I couldn't find anything for my kids, but the next time I got on I found a ton of cute items and really had to narrow my selection down. The items I purchased for my daughter are all for the spring/summer so they are way too big right now to get a picture, and the sweatshirt I purchased for my 19 month old ended up being too small (the downfall of online shopping). So I don't have any pictures of my kids in the items, but here is a picture of the items I received. Another thing I do like about ThredUP is that in my box I received a mailer bag for me to send some clothes in to be sold. I haven't done this yet because we are still deciding if we are done having kids or not, so we are holding on to stuff, but when the time comes this option will be much more convenient than trying to get them to a consignment shop. 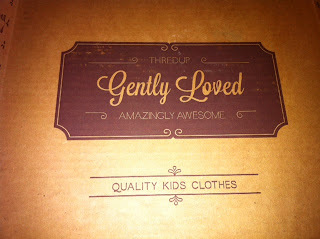 :) So all in all I was impressed with my experience and will probably use ThredUP again in the future. So Are You Ready To Try ThredUP For Yourself? Buy It: Purchase Your Own Clothing For Your Growing Kidos At ThredUP! Win It: One Lucky Reader Will Win A $50 Credit To ThredUp! I would spend it on my son for winter clothes :) Growing boys!